Emily Berry is a student at McKendree University. 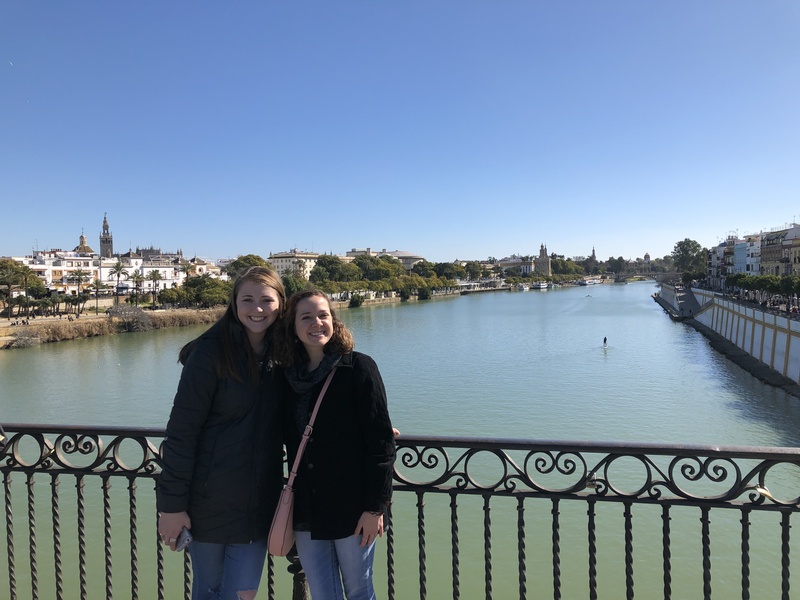 She is an ISA Featured Blogger and is studying abroad with ISA in Sevilla, Spain. Wow! I arrived to Spain about three weeks ago and I still feel like I am dreaming. Seville, Spain has my heart. Gazing at Plaza de España, I knew that I had made the best choice for myself. The brick streets are alive with guitar players, flamenco dancers, and horse-drawn carriages. Seville is more than I could have ever imagined. Why do I love Seville? Not only was this building featured in the movie Star Wars as Princess Padame’s palace in Nabu, but it has other stories to tell. 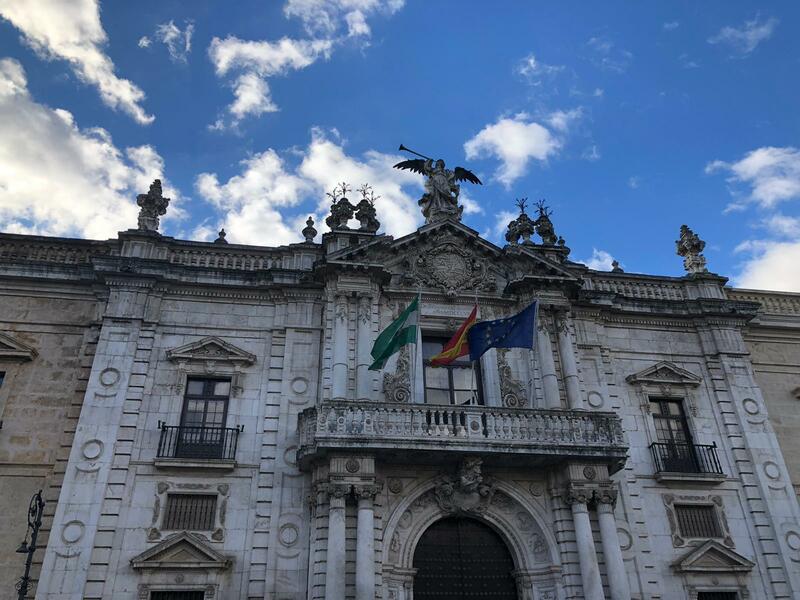 Surrounding the base of the building is art that represents the 50 provinces of Spain, and boats float through the mote and under the bridges of the plaza. Next to this building is the Maria Luisa Park; you can ride bikes, walk, run, or take a carriage through the paths surrounded by palm trees, fountains and flowers. This cathedral is located in the historic center of Seville. The Cathedral of Saint Mary is one of the three largest cathedrals in the world. An absolute wonder to see at the cathedral is tomb of Christopher Columbus, which is guarded by the sculpture of four kings of Spain. 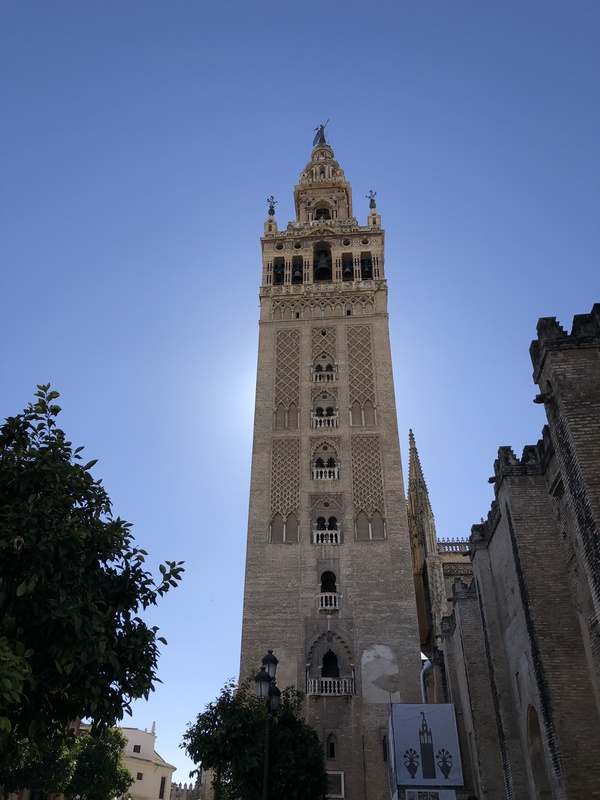 The Giralda, the cathedral’s bell tower, can be seen from almost any point in Seville. I climbed over 20 floors to arrive at the view lets you see all the beauty of Seville. The cathedral was first built as a mosque in 1172, in 1248 the mosque was converted into a location for Christianity, and in 1434 the mosque was renovated into a Gothic cathedral. One can observe the influences of different cultures and religions within the interior and exterior designs. My favorite part was the chorus chamber and the altar. 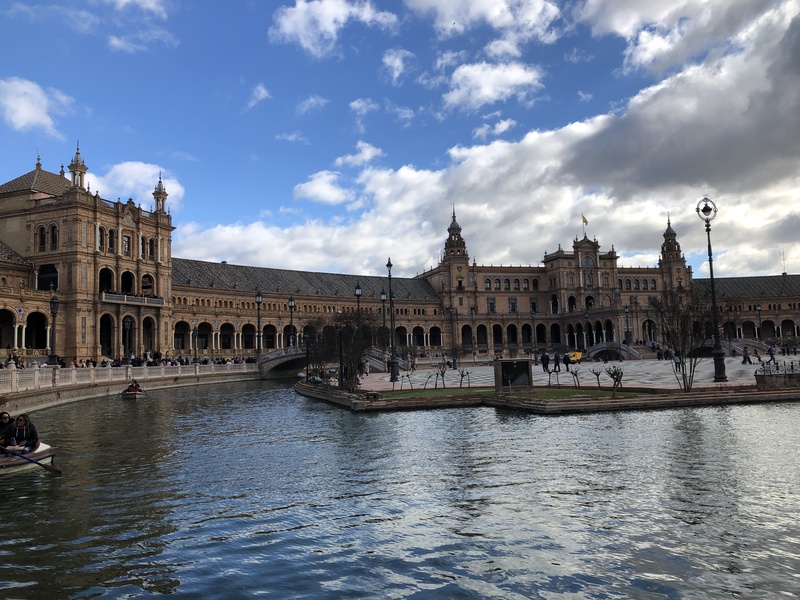 This river is the only great navigable river in all of Spain; therefore, this port was popularly used for the trading of goods from around the world during the time of Christopher Columbus. The first trip around the world started in Seville. I visited the Golden Tower to see the art and historic artifacts that informed me about the journeys that started here. My friends and I enjoy walking the river’s edge, sitting on the side, and watching boats and rowing teams pass. Across the river, in Triana, there is a quaint market at which you can buy handcrafted materials. I really enjoy looking at the watercolor paintings. As one of my friends put it, “this university is like a Spanish Hogwarts”, and I could not agree more. This building is massive with its gaping ceilings and doors as tall as some houses. Walking in through the front, I saw the fountain and knew that I made the right choice to study abroad here. Each floor features beautiful architecture and statues from long ago. The university is a historical institution, as it was formerly the first tobacco factory. I love Seville and I cannot imagine being anywhere else.